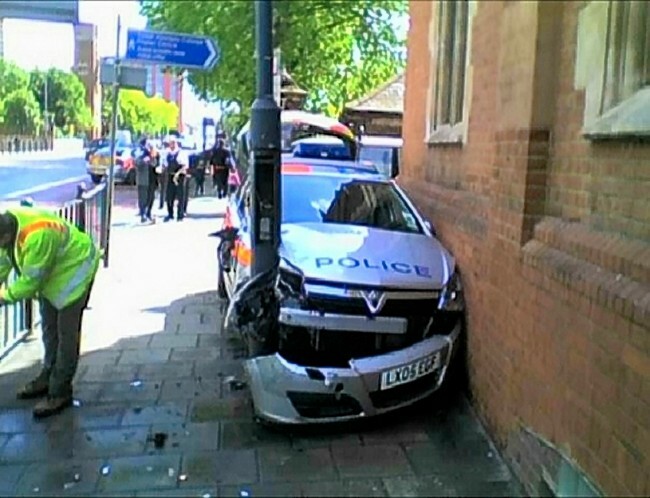 Following the creatively named post, "Bugger, blast, bugger....!!!!" I've been in receipt of some very useful advice from a good and helpful friend, and being a good and helpful chap I'm going to share it with you. You'll recall that I was pinged by a sneakily hidden radar gun in Banchory out of the back of a van, unfairly I thought, 30 yards from my journeys end after a 565 mile journey. The LTI 20/20 radar gun is a speed gun used in the UK. You could clock sparrows hopping about on the ground at 140mph!!! The device, made by a US-based company, has been the source of much controversy since its introduction for its unreliable speed readings. Tests in 2007 recorded a wall as traveling at 44 mph, an empty road recorded 33 mph, a parked car was clocked at 22 mph and a bicycle ridden at 5 mph was recorded moving at 66mph. A man is currently fighting his speeding ticket, demanding the source code of the radar gun to deny the improvement of the device." Interestingly enough, there appears to be a growing guerilla movement of little guys fighting back against this monstrous demonisation of the driver. More links to the fightback and failings of the LTI20/20 can be found here, here and here. One piece of parting advice, don't use a mobile phone in the car. If you kill someone whilst talking on a handset it's an automatic 7 years in the chokey which is no laughing matter either for you or the victim. Mrs Flashbang thought this handset thing didn't include looking at a text in slow moving traffic; the Hampshire Constabulary in Liphook thought differently and she's now the lucky participant on a driving awareness course. This complements nicely, the speeding awareness course she attended a couple of years ago for doing 34mph in a 30mph limit at 8am on a Sunday morning in Crowthorne. "Officers admitted causing 3,357 crashes last year – an average of more than 64 a week - many of which were caused by basic driving errors. Accidents were caused by failing to stop at junctions, doing U-turns without looking, taking bends too quickly and failing to use mirrors when reversing." Keep picking on housewives doing 34mph though, that'll solve the crime problem.